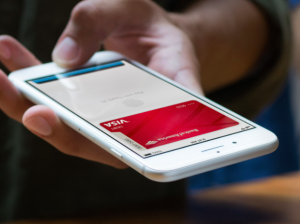 Apple Promotes ‘Everyday’ Commerce for Apple Pay as It Seeks to Increase Transactions | NFC Times – Near Field Communication and all contactless technology. Apple is seeking to expand transactions beyond the payments as the physical point of sale. Major League Baseball to Roll Out Availability of NFC Ticketing in 2018, but Will Stadiums Adopt the Technology? NFC TIMES Exclusive Insight – LAS VEGAS: As Apple continues to try to address what many observers consider to be a disappointing showing for its now three-year-old payments service, Apple Pay chief Jennifer Bailey played up the theme “Everyday (commerce) With Apple Pay,” during a keynote at the Money 20/20 fintech show Sunday. Among Apple’s plans is to push use of Apple Pay and the Apple Wallet to enable users to store and redeem contactless tickets for entertainment venues, including sports stadiums and concert arenas. Apple participated in a pilot of contactless ticketing from its Apple Wallet last month during six late-season games of the Oakland Athletics Major League Baseball team. Bailey also announced that two fast-food chains, including McDonald’s restaurants, would include Apple Pay in their apps for order ahead starting next month. And she said some restaurant delivery apps, such as DoorDash and Grubhub, would also be supporting Apple Pay. Apple Pay is already part of apps that enable users to order ahead, such as those from Starbucks and Panera Bread. Article has about 1090 words.